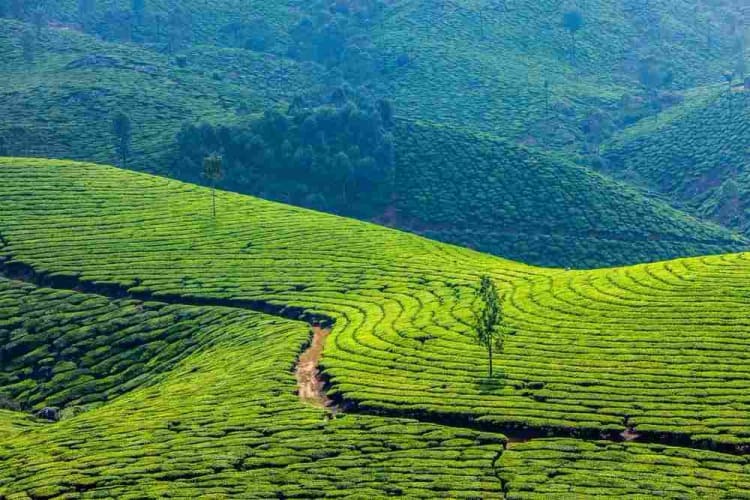 Later drive to Munnar hills (130 Kms), the green Paradise of Kerala with unending expands of Tea plantations, spice plantations and a variety of flora and fauna. On the way visit two beautiful waterfalls as Cheeyappara and Valara along with the foggy Tea meados across the hills and valleys. Check in your hill resort and after noon at leisure/ you can go to visit Munnar town and nearby places & Overnight stay. Today after breakfast, go for sightseeing at Mattupetty Dam; a beautiful spot for viewing the picturesque Munnar, Kundala Lake- a natural lake with recreational facilities like boating and having excellent view of Western Ghats as well as the lush green forest surrounded with. Also visit Eco point, blossom park,hydel park, TATA Tea museum etc and tea plantations. 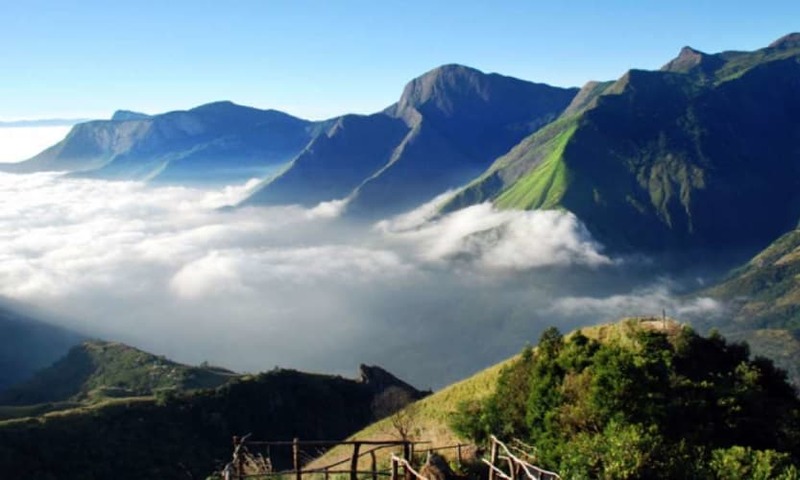 After noon you can visit Eravikulam National park; where the endangering Nilgiri Tahr is conserved also its the prime attraction Munnar to have a soft trekking and from the hill one can enjoy the breath taking view of entire Munnar hills. Today after breakfast check out your hotel and drive towards Thekkady, the Wildlife destination of Kerala. Its also known as the spice bag of the state. You can enjoy a beautiful journey through the hills and valleys of Western Ghats to reach this jungle destination. 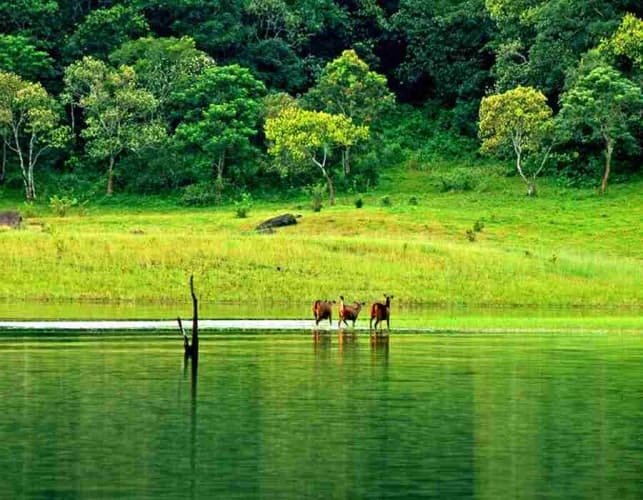 Also have an amazing boat ride in Periyar Lake which flows through the Periyar tiger reserve. You will have chance to watch the wild animals like elephant, Bison, Sambar, Deer etc are roaming the both shore. After breakfast Check out your resort and drive to Alleppey; also known as Venice of the east by its special geographical features as the place is famous for its vast back water stretches and paddy fields. By 12 pm you can board your houseboat to explore the back waters and its serene beauty. Enjoy the ride; delicious cuisines and an overnight stay onboard.